Riding up to Grissel, Horthol scowled as he gave his message to her from Madrak, "He asks to you take your force as quickly as you can to the other side of the plains. If we can get there quickly we can secure a cache of supplies and weapons deposited there by some Circle of Orbos folk as they moved on. 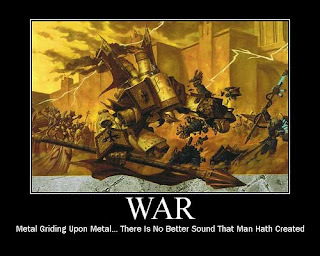 It is rumored there are some relics of great power among them..." Grissel frowned, "You know that means we will likely encounter many groups of Warcasters and Warlocks looking for them as well right?" Horthol knew the truth as well as she did, this would be a dangerous mission. I went into the shop an hour before the tournament started and showed the shop owner my three escalation lists, rMadrak to eMadrak, Grissel and Grim. I just could not decide which to bring and so the shop owner rolled a D3 and came up with Grissel. He gambled on his list and it nearly paid off. Our Terrain was a small forest on the left side of each of our deployment areas and a huge fargin rough terrain hill that got up to 3" high in the middle. I rolled highest and opted to deploy and go first. Trolls - I decided on the left side of the hill and deployed there. Khador - He deployed almost right in the middle of his side. As Horthol rode off to gather up some reinforcements Grissel, a Slag Troll, her favorite Pyre Troll, and the Mauler that was indeed smart for a Dire went off to claim this 'cache' for Madrak. It didn't take long for them to encounter a dimiutive Warcaster from Khador with a Particularly battle work jack by her side. Trolls - Everything moved up 10"
Khador - He advanced forward with Beast and left Sorscha moving forward a hair but staying behind Beast in his Deployment zone. Trolls - I feated and ran everything and made a huge mistake. I got the Mauler and the Pyre into Melee range of Beast. My Slag went straight towards the forest on the edge closest to Beast. and Grissel went for the forest left behind the slag barely putting my other two beasts in her control. Khador - He moves Sorscha up to the hill base in between the Pyre and Slag and feats, also casting the spell that makes her def a ton against ranged. Beast moves back on the Mauler and Pyre to get out of thier melee and threshers hurting them both. Sorscha was indeed suprised at the speed in which the Troll woman and he beasts set upon her, she had no doubt at all that Beast-09 could handle the two that were on him. She sneered at Grissel, "you will feel the bite of cold steel, or run for you life when I am through with you." Trolls - Since Grissel can still use her calls while stationary I use cacophony taking away all of Sorschas spells. I try to zing a spell at Sorscha (he says I can still cast them while stationary) but cannot hit her high def. Khador - Beast takes the Mauler and Pyre apart then Sorscha goes after the Slag for the win. She manages to make him stationary with a crit but cannot finish him off. Still angry and even a little despondant from going on this mission in the first place, Grissel had little patience left for the cocky human in front of her. The woman looked suprised first that she couldn't focus enough to freeze her again, then more suprised again that the Slag Troll was able to brush off her attack. Grissel rushed into the Khadorian weilding her hammer and with a battle cry bashed in her head. Trolls - Grissel charges Sorscha hitting the charge and the last attack ending her. I found myself facing Menite Jon from Lost Hemisphere and his Harby list. My Grissel list I decided to add only five more model to bring me to 500 keeping her feat and my mobility in mind. The Harbringer was a little afraid to face this Troll woman that had caused so much trouble for the PKA. She was confident in her ability to destry her though, and set out to pin her army between the lone farmhouse and one of the walls near it. Our Terrain was a 4x6" farm right in the middle with a low wall on the right side and a few inches up from each of our deployment zones. I rolled highest and once again opted to go first. Trolls - I Spread the Longriders out from the middle to the right with Horthol going up the table edge. The Mauler took the gap between the farm and the Wall with my two lights and Grissel right behind the wall. Menoth - H&A deploy across from Horthol. The Paladins directly across form my wall and a wrack on the empty side of the farm house to prevent me from circling around it with my LR and flanking him. His jacks deployed across from the Mauler with Harby behind them with Doc and the Heirophant behind her. Trolls - Each LR went forward 7", the Mauler ran straight up 10" and the lights and Grissel hit the left edge of the wall in front of me and I was done. 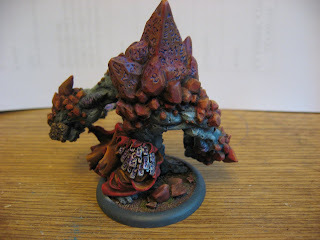 Khador - His wholy army pretty much did the same moving up about 4". Horthol rejoined the fight with Grissel along with a few Longriders, "More is on its way but I fear they will not be here to help us in this fight." Horthol reported. Grissel shook off her weariness and sang to her Trolls wathching them all sprint accross the field catching the young floating woman and her army before they could prepare a charge of their own. Trolls - Grissel Advanced 6" forward and feated. Mauler runs and hoofs it to engage the Reckoner. The LR run up and hoof it two of them get around and behind to engage harby, one gets behind the Paladins and engages them and the Leader puts himself behind A&H, Horthol runs with them and puts himself behind the Paladins and the Reckoner. The two light beasts take up positions in front of Grissel by about 1". Her suprise at the speed in which the nomally slow Trolls caught up to her was short lived. She reacted by blowing apart the ones nearest to her with a cataclysm of holy fire. She then used her connection to her jacks to have them mop up what she had not finished already. Khador - So I didn't know about Harby's Spell cataclysm, it friggin rocks. He takes out the two closest Longriders with it. A paladin turns to hit Horthol and dies to a Free Strike from a LR now behind him, but the other pally hits him for a litte. The FoS finishes off Horthol, the Reckoner takes down another LR and Holt pins the leader down. Trolls - Aiyana dies a horrible death and that LR is done. Grissel Rages the Mauler and the Slag Troll then takes away the spells via Cacophony from Harby. The Mauler then throws the Reckoner into Harby knocking the Reckoner down and getting a PS15 off on the Harbster, the Mauler proceeds to beat up the Reckoner leaving it with a coule points in movent and cortex. Slaggy beats the FoS pretty good too leaving it armless as well. The Pyre Troll then burns the Paladin to Ash. Power flowing through her she reacted instantly to each new threat and dealt with it, but for some reason the Troll witch's song made it to hard for her to concentrate on spell casting. Unable to rely on spellcasting she moved in on the big troll to deal with it herself, which she did easily, slicing it to piecies with a grace and power that defied her size and age. Khador - Holt tried again to pin down the LR who could have a lane to Harby but acutally misses one attack. Harby moves around to take out the Mauler which she easily does, with no spells though she is finished with her activation. He bashes the Slag for some damage and is done. Though the small female's performance against her Mauler was impressive Grissel's fuse had grown shorter still. Leaning over to the Pyre Troll she held out her mace. The Troll grinned and spit on it covering it with burning pitch. Grissel once again let out a warcry that split the ears of those remaining on the battle field as she sent yet another human woman home with a headache they would remember each time they fought against her Kith and Kriel. Trolls - Grissel once again takes matters into her own hands, the Pyre Troll gives her his animus and she charges Harby, hitting on the charge then missing a couple. One last attack to see if I can get her and Grissel rolls just enought to hit and then again just enough damage to box her. Synopsis - Against Sorscha I really screwed up running both my beasts to base Beast09 when the Pyre Troll could have done the job himself hopefully giving the Mauler one more round of survivability. Against Harby was a fun game, I almost lost it because I didn't know her very well, but once again getting up into their face with my feat finds my opponent in melee and makes it to hard for them to get the position they want allowing me to caster kill. Round 3 and the last tourney finds me fighting to first place against Cryx and eDenny I think. That should be interesting for sure. I will take the camera for this game and have at least one pic per Troll turn for you. Grissel found herself to be grouchy and angry at... she supposed it was the Hero that had showed off for her soo long. Why was he with Marak anyway? More importantly why did she care, though she longed for companionship, she knew in her heart she could not replace what she had lost. As she glowered looking for someone to take out her anger on one of Horthol's riders moved towards her, "We have found a gathering of Cryxian Witches worshipping, do we go around them?" Grissel almost smiled as she snapped at the rider, "Today we crush anyone who gets in our way." Grissel vs The CoveN at 500 points, yet another prep game while our wives were off doing what they do. I rolled the highest and opted to go first. Our map looked something like this one. Trolls - I spread my Longriders between the forest and hill with my beasts and Grissel behind the forest and Horthol on my far right. Coven - He evenly spaced his nodes across the middle with Bile Thralls and the combine mixed in evenly behind them. He put his Coven on my left, with Orin and the Skarloc on my right. He Advance Deployed the Cankerworm up in the forest on his side. Trolls - I moved up and to the left putting the four Longriders spread out diagonally in front of the forest using Hoof it to get where I wanted them. Grissel and the two lights went behind forest to my right while the Mauler did the same to my left. Horthol moved his normal movement straight up the right side. Coven - He positioned his whole army similar to mine diagonally by his forest leaving them all about how he deployed them putting his prison right in front of my LR. He moved Orin out to flank on my right side. We pretty much positioned across from each other diagonally not doing much on Turn 1. Their minds linked they acted as one, and had the same thought nearly at the same time, "She is ugly isn't she!" Cackling they began to prepare to sacrifice the ugly Troll woman and any of her companions they did not kill on accident. Trolls - Grissel moves up to the right of the forest and feats hoofing it onto the hill. The Slag and Pyre move up in front of her. The Longriders run, then Hoof It engaging all of his nodes but the one on my far left. Horthol runs up to engage Orin. Mauler runs up the right wedging himself between two Longriders. Coven - His puts Ghostwalk on the Biles and moves a them all out of melee and purges about half of them, putting corrosion on everything except the Mauler Horthol and my Far right LR. Then Sprays a few into the my left two LR. He moves the Cankerworm up to finish the one on the far left then scuttles back towards the forest. He then uses his node to blast the one next to it with a Sygian Abyss. He kinda messed up here moving all three witches but forgetting to finish spell casting. The Skarloc and Combine hurt the Mauler a little along with nearly killing the far right Longrider. Orin Zaps Grissel and my two light beasts for a few damage each. Feeling the burn of the small human's lightning bolt only stung a little as Grissel took her rage out in the mind of the Pyre Troll. The beast really did seem to want to please Grissel in any way it could. Not even caring that Horthol was right next to him it moved up and belched fire right onto the human burning him to ash immediately. Horthol unhurt glared at the beast and then over to Grissel, who glared right back at him so hard that Horthol decided he would rather face the deadly Cryxian's than be caught in her gaze again. Trolls - Pyre Troll moves up and shoots Orin. Grissel Heroic ballads the last two LR casts rage on the Mauler and +2 from the Pyre on the LR leader next to the Mauler. Slag Troll moves up and beans a bonejack taking out its node. The LR leader does the same thing to the bonejack in front of him while the other LR moves around his flank to try and hit a Wich, whom he misses. Horthol Charges in killing a combine member with a slam and uses followup to get in range of the Skarloc killing it as well. The Mauler Tramples a few Bile Thralls and ends up basing one of the Witches who he promptly eats. Coven - He decides it time to go all or none for my caster who is sitting on two fury and has three beasts with roughly 50% or better health. He hits her with the last two combine members, then again with a few ranged attacks but cannot get the Cankerworm in close enough. He tosses a few Stygian Abysses at her with his last arcnode but misses one, that miss probably kept her alive as she had five wounds left and has just transferred to the Pyre leaving her with one fury. He then feats killing my los. After looking the board over instead of ending his turn he conceeds seeing that Grissel will take away the spells and that Horthol the Slag and the Mauler all have lanes to his two remaining witches. Having to take solace in seeing the boils and burns all over the Troll wench would have to suffice as the remaining Witches retreated. Losing one of their sisters always seemed to give them headaches... of course there was always another willing to take their place when they fell. Training new Witches was nevertheless time consuming and frankly boring, they wondered how many would die before they found a suitable replacement. Killing that Troll wench would happen eventually, she might even make an excellent Thrall. Dispassionately they left with the Cankerworm leaving the rest of their army to perish, it mattered not, they would begin restoring what they had lost in short order. Tournament practice for our Escalation tourney coming this Wednesday. We played saturday to make some last minute adjustments. Which is to say, which caster am I going to bring, Madrak or Grissel. He rolled highest and opted to go first. "Grand Exemplar," the Scenshal reported, "We have indeed found a large contingent of Trolls moving thorugh the lower marshes... Madrak himself is with them, I suggest we move to attack immediately while our presence in unkown to him." PKA - He put one KE on each flank with the EE towards his left flank and Bastions towards his right flank with the rest of his army right in the middle. TROLLS - Mulg Left, Mauler Right, and umm... you guys know the brick right? Eveything bunched up right in the middle with Champs up front. PKA - His EE spread out towards my left and the KE run wide up each flank. Bastions move up towards my middle right and the Rocket jacks toss a few errant shots the rest of the main group heads up the middle. He puts upkeeps on everything, damage back to me on the fires and activation loss for killing crossbow dudes. TROLLS - Champs run just to my right of the closest wall some even covering with it. Mulg takes the left Mauler take the right, Chronicler uses the first chapter of the left unit of Champs closest to the crossbow dudes. Everything else bunches up behind the wall of Champs. Maddy casts his upkeep and I finish by using the you can't move me and I am immune to bast damage aura then gobber smoke between crossbow dudes. PKA - He shoots with is rocket jacks doing piddily, but his crossbow dudes manage to kill one Champ. His KE move to flank even more taking advantage of my grouping up and heading up the middle. His Bastions and Fires of Salavation end just outside of charge range and he is done. Rocket jacks shoot to no avail as the blast damage is useless against me. Admittedly some armies would just get destroyed by that barrage with rof3 each. Madrak underestimated how much unrest his forces were, they were edgy and seemed to be reacting just a hair too slow. This was uncommon as he had the best of his Kriel with him today. With the grimness of death around him he began to issue orders, "Blood group go get those rockets, Death group core out the middle, we will leave the big Warjack to Mulg..."
TROLLS - My front line charges he Bastions and his Fires jack with one unit of Champs killing a bastion, the other unit running around the Fires to engage the shooty jacks. Madrak heads over and uses ricochet to plink a KE and the unit leader on the right side and uses a token to move 1" back into the brick. Mauler uses one kill to move 3" so he can now charge the rest of them. Hero moves up to absorb the counter attack from that side. Mulg also used the 3" movement to get a clear lane to the Fires and moves in hitting the first two attacks, whiffing the third and rolling under 4 on the last three leaving the Fires with his cortex and mace. Hero on the left Charges the Senschal and KE flanking to tie them up and gets the Scenschal good. KSB you can't move me aura and gobber smoke on the Bastions. "They have taken the bait and are almost completely surrounded my lord though our left flank is collapsing," reported the runner from the Exemplar Errants. "Excute the manuever and destroy them," Kross smiled, he knew how tough Trolls were, but he had no doubt he could clease even their best from the world of the living today. PKA - He feats, and the proceeds to kick the poop outta me. Seven Champions die the last one to Kreoss himself. There was even eight tough rolls in there but it didnt keep them alive at all. Mulg dies, the Mauler gets reduced to four wounds. Thats pretty much it, I have Stone Scribes two Heros way out of position, some gobbers and my Mauler left. He is still largely unhurt. TROLLS - It's time to go for it, since it is clear I am done on the next turn, so I do. KSB pops the +2 Str aura, Mauler rages Madrak then Tramples his whole choir eating them all, healing up all but two wounds. Chronicler charges the Fires and finishes it off (yeah how about that, he actually did something). Madrak moves up as far as he can and throws at Kreoss with a PS20, boosting to hit and nailing him for nine or so damage, he then ricochets into the Heirophant killing him and getting a blood token. Madrak then feats, and proceeds to throw at Kreoss again killing him. (As I type this I am unsure of if his feat affects himself or not, I didn't think about it untill just now). Seeing his units execute their ambush perfectly made Kreoss nod approvingly as he moved in to finish a Troll himself. These Trolls had gained a large repuation against his countrymen recently and he was happy to put them down for once. Synopsis - He kicked my tail, and I got lucky pure and simple. This game reminded me why Madrak likes to bring an Impaler. Mulg is out, and Axer and Impaler are in. Horthol rode into the small clearing to report to Grissel, "My patrol ran into one of the biggest denizon's of Everblight I have ever seen, it picked up one of the riders and ate him and his bison whole while we tried to escape. It is dangerous Grissel and the three headed beast comes right for us." Last night I faced off against Typhon and Lylth. Needless to say, Typhon is a pig and scares my shorts off. We played 500pts, and the armies looked something like this. Our Terrain had a large forest on the left side of the table closer to him. On my right side of the table there was a large rough terrain hill. I rolled highest and opted to deply and go first. Trolls - I spread my LR about 4" apart in the middle left of the table with Grissel in between the right two, the Mauler and Slag spread in between the LR in the middle, Horthol back and left a little and the Pyre Troll behind Grissel. Legion - His Seraph lined up behind the forest on his right side with the Carni in the middle and Typhon on his left middle side, the Shredders, Lylth and Shepard were behind the Carni. Grissel thought she was even scared a little looking at what shew knew to be a Carnivean, those were bad enough until she looked over at the three headed monster with it. To make matters even worse a diminutive looking woman seemed to be in control of them meaning they had a Warlock to guide them. She found herself wishing for that Hero that had taking a liking to her, though she wasn't sure about his motives, he seemed to have a knack for taking out enemy leaders. Trolls - I move my LR 7" straight forward keeping them spread out with Horthol 1 " behind the left two, my Mauler and Slag run 10", Grissel moves up regularly with the Pyre Troll right in front of her. Legion - His Seraph hits the forest where I can't get to it, the shepard goes over to play with Typhon and the rest of his army walks up the middle waaaay out of range for me to charge him. Trolls - Pyre Troll moves up to screen for Grissel, Grissel moves up behind him and Hoof Its the LR. LR run 14", then use Hoof it to move around him Putting one in melee with the shepard and just out of Typhons melee, another in melee with the shredders, one based with Lylth and the Leader back in counter charge range. Horthol runs up towards the forest and the Mauler and Slag move over closer to Grissel. Legion - Typhon proceeds to throw the LR engaging his shredders but only rolls 1" so it doesn't hurt me, then proceeds to destroy the now KDed LR with spray attacks. All three shredders move around and paste the LR engaging Lylth putting their back to Grissel. His Carni charges Horthol making short work of him mounted, then does the same unmounted. Lylth hurts the LR engaging the Shepard a little and the Seraph wiffs his attack. Lylth sneered over to the young Shepard, "Witness the might of Typhon and pray you do not get in the way or I allow him to do the things to you that are in his mind." The Shepard swallowed hard but steeled her resolve and stayed with the three headed beast to lend support to it when needed. Trolls - Grissel moves up a little a feats, then casts rage on the Mauler and the LR leader, she shoots at the Shepard with her gun boosting to hit and gets her dead. The Pyre shoots at the shredders, misses and hits nothing on the deviation, so he runs crying back to Grissel. 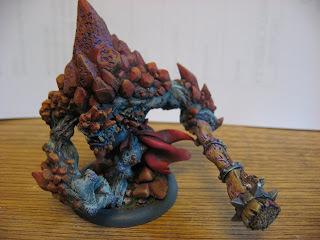 The Mauler moves up to the Carni and after pushing him to 4 fury kills him, he then hoofs it back towards Grissel. the last two LR slam Typhon using followup to lay down some pain, with rage on one of them they have just enough in them to paste Typhon. They then hoof it to engage the shredders and Lylth. The Slag runs into the forest and hoofs it towards the Seraph nearly getting to him. Shepard, Carni, and Typhon all dead in one turn... "That'll do donkey, that'll do"
Legion - His shredders gang up on my LR, killing one but he tough rolls, they hurt the leader a little. Lylth feats moves away taking a free strike for 11 damage, hurts the LR leader for it but can't kill him. Seraph moves in on the Slag leaving one box in his spirit and body and his mind is unhurt. So here is where I noticed that Legion beasts are tough, but they don't have as many attacks as Trolls beasts, with 5 fury and two open fists my Dire Trolls really hurt enemy bigs. Trolls - Pyre frenzies into a shredder pasting it. Grissel moves up to Heroic Ballard the LR. The Mauler rages the Slag and moves to block los to Grissel. The LR kill a shredder and leave the last one hurting. The Slag tries in vain to hurt the Seraph but only lands one good hit in for about 11 damage. Legion - Seraph turns the Slag into goo. His Shredder kills the near dead LR twice, but he tough rolls twice. Lylth kills the LR leader but he toughs, she moves away towards the middle back. Trolls - Grissel moves up to hit Lylth with Calamity but misses, she does Cacophony her though. Mauler and Pyre do some defensive posturing to keep Lylth from getting to Grissel and the LR try to take Lylth down... they don't. "I have had enough of this Troll wench," Lylth muttered under her breath. "I will personally present her head to Everblight" She hefted her bow and let fly a deadly barrage of arrows watching them un-erringly catch the Troll Whore in the shoulder, and another buried itself in her ribs. Un-cannily the Troll turned to look at her with a look that made her shiver... for the first time this fight Lylth though she might have underestimated that Troll. Legion - Lylth moves around to shoot a Grissel and gets her twice reducing her to three wounds. The Seraph moves in on the LR Leader killing him but he again tough rolls. Not sure I got them all in there right, but that is two tough rolls on the LR leader and four tough rolls on the other LR. Watching Grissel snap the arrow hafts off, spit and then glower at the enemy caster, the Longrider felt a sense of Pride. He knew that from this day on he was Grissels man as he turned to charge into the ugly woman of Everblight. Trolls - Grissel Heroic Ballads the LR, Pyre Troll uses his animus on the reg LR. The LR then Bull Rushes Lylth beating her face in. Synopsis - Horthol's Cohort abilities are friggin awesome. So the Trollblood forums of at Privateer Press regualarly post stats for models they wish would be released including a trio of Pygmy Troll Grim Angus Wanna Be's and a Light Troll Beast that can call down lightning. I have always wanted a focus/fury caster, so I came up with one. 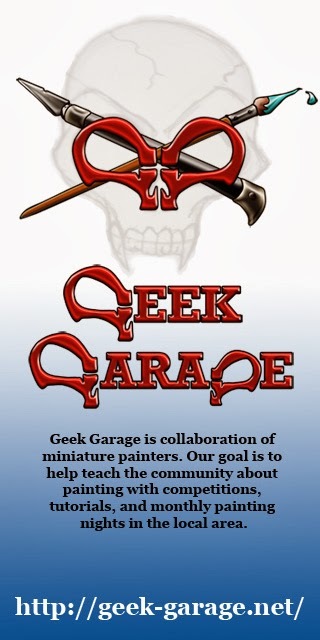 Here is what I posted on the Privateer Press Forums a few days ago. Old Champion Kithkar who lost his unit long ago do a particularly nasty Black Troll. As the Troll feasted on the remains of his comrades his mind connected with an old Dire Troll in the hills. Shortly before he lost conciousness he saw the form of an Earthborn carry him away. When he awoke he was alone and will never know why the Dire Troll saved him, but since then his Warlock potential was released. For a time he traveled kithless from clan to clan as a Hero performing what good deeds he could, but the nightmares of the Black Troll kept him on the move. As time passed he became absorbed with ridding the Iron Kingdoms of every evil menace he could, hopefully ending with the Troll responsible for killing his Troll Brothers. Early in his wanderings he hired on as Pirate mercenary and proved to be quite adept and ridding merchants of undesireables. As he sailed he immediately took an interest in the steamjacks that the merchants used. After years of picking up knowledge here and there he became Adept and fixing the jacks, being able to lift parts of them back into place with one hand to fix them he left his fellow human mercenarys in awe of his strength, though he never noticed how strong he had become. His devotion to his comrades always left them wanting to fight by his side. After the Skorne invasion he felt the tug to return to help the Trollbloods find peace but resisted for a time not wanting to leave the mercenary life and the jacks he had fixed over time. His mind was made up for him when the boat he was on was attacked by a Cryxian warship, he fought bravely but they were overrun and would all soon die when he stared at a Mule he had spent many hours working with and willed it to attack, it did by blowing up half the ship taking the Cryx with it. When the battle was over the ship was his but at a great cost, him and a small number of the humans with him, with that he took the ship to dock used all his savings to repair it and headed to his kith with everything in the cargo hold... it happened to be a delivery of steamjacks. Celena Reyfall and her Nyss Hunters. Fearsome - Enemy models in melee range must make a command check or flee. Get em Boys - On a successful charge attack enemy Trollblood models in his command range gain +2 to Hit with melee or ranged attacks. Mental Shift - Harmek may spend one Focus or Fury to make all remaining Focus or Fury become the same. Harmek can only do this once per round during the maintainance phase directly after leeching fury or gaining focus but before allocating focus. *Note: Harmek cannot use Focus to Heal Warbeasts or Use Fury to Boost his jacks. Courage of Friends Range 8 Cost 3 Upkeep - Target Unit gains +2 Def and Cannot be knocked down as long as they are in formation with each other. Effect lasts for one round. Gale Force Range CNTRL Cost 3 - Harmek throws himself at his enemies with unnatural speed and vigor and gains boundless charge, The Ferocity of his attack gain him boosted attack dice for his first melee attack. Tune-up Range 8 Cost FOCUS 1 - Harmek can repair d3 damage from any friendly warjack. Beatial Protection Range 8 Cost Fury 2 - Target Warbeast gains counter-charge for one round against target enemy model that ends its movement within 6" of it or Harmek. Each model affected my Beastial Protection May only Counter-charge once per round. FEAT: Return the Favor - Once per game Harmek may completely restore any Warjack in his battlegroup or Completely restore a Warbeast that began the game with him. Warjack or Beast must be placed within 3" of Harmek and cannot performs actions this turn. So for winning the T&C/MM tourney I got a discounted paint job on Mulg from the shop owners wife. 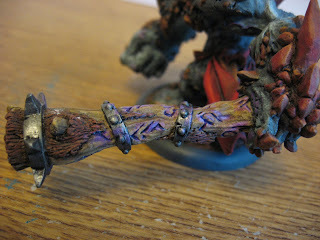 We talked about colors, and being a fan of the non-traditional paint jobs here is what we came up with and she painted. Stryker Suggests Wargames To Madrak In Preparation For The PKA. Madrak was still very unsure about this recent alliance with Cygnar. In light of what was happening to Grissel he could not understand why one part of Cygnar would fight them while the other part would help him. Either Leto did not have control over all its army or he gave each group more latitude then they should. Of course who was he to talk, his kith were sometimes just as likely to attack each other as they would an enemy. We played a 500pt Duel in preparation for our upcoming Escalation Tournament. Our terrain looked something like this. Only rough terrain are the rocks in the middle. We rolled off and he won and so decided to go first. Cygnar - He deployed on the top of the map with his B13 behind the Trees, Stormguard, Rowdy, Stryker, Squire in the middle and journeyman on the far left. Trolls - Its Madrak so I bricked up middle right, Hero on the left flank, Fel Caller on the right, Slag and Imp in back, Mauler left of the Hero and Madrak in the middle. Cygnar - He Snipes the B13, they move up into the trees and hit my middle Champ for 4 damage. Yeap shooting 25" or some such nonsense. Stormguard advance up the middle with Rowdy behind them and Stryker behind him with the Squire. Journeyman and Thorn go left. Trolls - So without gobbers and the KSB I am feeling a little exposed and screwed. I run to my right a little towards the B13 but only about 8", Champs go V-formation Maddy surefooted in the middle with the two lights bringin up the rear. The Mauler stays left runs his full 10" twowards the rocks. "Let them taste our range boys," Stryker said over his comm to the Black 13th, "they are tougher than most humans, but even they cannot withstand our barrage for long". Without hesitation they moved up and unloaded on Madrak's front lines. Cygnar - He kills my point Champ, and nails Madrak with the B13, I take 10 damage with one hit and opt to scroll the 14 damage from the next hit instead of pushing it off. His SG run over in front of the trees and Rowdy moves up to countercharge position. Thorn runs up Mauler gets Eartquaked down and he gets hurt decent. Trolls - Champs run to engage the SG, Mauler does the same to Rowdy after the Fel Caller stands him up. Madrak Surefoots while the Hero blocks the lane to him on the left. Farstrike the Slag and end up with no fury. Slag moves up and hurts Rowdy boosting damage, good hit but Rowdy chooses where it goes. Impaler goes for a slam and misses but the two have Maddy's left flank covered. Cygnar - Mauler dies a Horrible death to Rowdy and Slag gets near killed as well. He does some CMA on Champs do little. My Slag gets hurt a little. Not much else since he put most his effort into killing the Mauler. He feats giving all his crap +5 armor add in arcane shield to Rowdy and he is ARM 18. The SG are ARM 23. Trolls - My Fel Caller Tries to charge the far right SG and misses on both hits. The Champs hit alot but only get through the armor on a couple of them. Hero decides to sacrifice himself and charges up to Rowdy's base going after Stryker but misses and can't damage on the backswing. Slag does no damage to Thorn and the Impaler hits for no damage as well. I'd say his feat worked great. Madrak actually tries stonefall in an attempt for a critical, yeah its a pretty good critical against WM... He doesn't get it. Madrak was impressed by Strykers command of his army, they did not leave him many openings and forced him to react to their movements. Seings his beasts nearly out of the fight he knew he was about about to lose and decided to go for broke. "Champions ready your blades and slice through their lines," Madrak bellowed as he turned to the Hero, "Grissel sends you to me with high praise, show me why she thinks so highly of you and she will hear of your glory directly from me!" The Hero gritted his teeth and set to work on yet another human Warlock. Cygnar - He CMA's the Champs again nearly killing the one blocking los to Madrak. Rowdy the Journeyman and Thorn kill the Slag and leave the Imp with 1 wound left. The B13 have to move and end up missing a few on Madrak leaving him with 5 health. Stryker tries to kill the Hero along with one of the B13 but the only do 5 damage. What good is retalitory strike when the dude hitting you can use ranged attacks in melee? Trolls - Knowing I am dead I decide to go for it, Madrak moves up to the Champs uses Guided Hand on the Champs and the Hero then feats, the Champs Crusher all remaining stormguard, the last Champ gets the B13 dude engaging the Hero and takes a couple swings at Stryker doing a little damage. The Fel Caller WarCrys the Hero then Hero then takes a shot at Stryker hitting him for 10 damage, his backswing also hits delivering the killing blow. Gooo Hero. As much as it pained Stryker to see his army lose even when his opponent seemed to be ready to fall apart he had to give Madrak praise. It appeared that this Troll was indeed worthy of Leto's friendship, pity it had gone they way it did for a full fledge alliance with the Trolls could strike fear into the hearts of their enemies and bring peace to the Trollbloods and Cygnar. It was wishful thinking of course but hopefully the good they did here would count for something against Cygnar's current relationship with the Trolls. His voice crackled accross the comm to his army, "well fought, luck is on thier side today, with them the PKA stands no chance... now reset we go again at 1800 hours," Stryker smiled to himself as he planned to take on Madrak again. Synopsis - He had me on the ropes right from the start and did a great job of taking out my crap without me being able to do much about it. Surefoot and Champs in Melee will always be amazing unless MKII kills it. One more turn would have had me dead no matter what so I went for the kill and got lucky. I almost always forget how good Crusher is until I use it, and no I don't use it every game, the oppotunity doesn't always present itself. For all you Pheonix Gamers out there, here is the lowdown from our local Shop Owner. 30 Minute Match, 5 Minute Turns, One 2 Minute Extension Allowed. Victory Condition: Caster Kill or All Warjacks/Warbeasts killed. Everything from your 350pts. list must be included. All Eligible, Released, Models allowed. 60 Minute Match, 12 Minute Turns, One 5 Minute Extension Allowed. Victory Condition: Caster Kill, Army Annihilation, or VP if time is called. Everything from your 500pts. list must be included. If you Caster has and Epic Form You Must bring it. 90 Minute Match, 15 Minute Turns, One 5 Minute Extension Allowed. Each Pairing game size will be determine by a d6 roll right before game starts. Match Rules will follow the rules for the game size of previous rounds. So our local LGS has decided to start an escalation tournament. Since my Trolls have never played in one of those it was time to figure out what an escalation tournament is exactly. intransitive verb : to increase in extent, volume, number, amount, intensity, or scope. Escalation is the phenomenon of something getting more intense step by step, for example a quarrel, or, notably, military presence and nuclear armament during the Cold War. So our local leagues rules are going to be as such. List 2 - 500 Points - Everything from the 350pt list must be included. Can add any eligible beast/jack, units, and solos. List 3 - 750 Points - Everything from the 500pt list must be included. Epic form of the Caster may substituted. Next post will be a rating system for each Troll caster for each level of play and which ones I think are best suited for this tournament. The rating system will be based on three criteria.